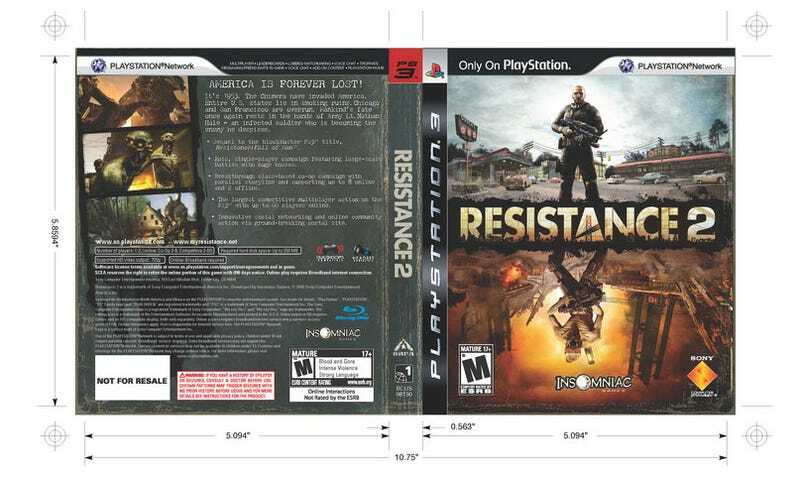 Last August, Sony asked you to vote for your favourite Resistance 2 cover. One option was the classy European cover, the other two, they looked like PS1 games. The classy one didn't win. Today, perhaps realising their mistake in letting Joe Public in on artistic decisions, Sony have released all three covers as large, printable image files. So if you don't like the one you're stuck with, you can download, print off and replace it with one that's easier on your eye.